Scientific thinking has long been linked to music theory and instrument making, yet the profound and often surprising intersections between the sciences and opera during the long nineteenth century are here explored for the first time. 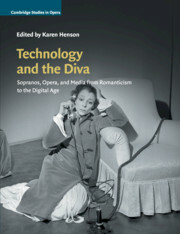 These touch on a wide variety of topics, including vocal physiology, theories of listening and sensory communication, technologies of theatrical machinery and discourses of biological degeneration. Taken together, the chapters reveal an intertwined cultural history that extends from backstage hydraulics to drawing-room hypnotism, and from laryngoscopy to theatrical aeronautics. 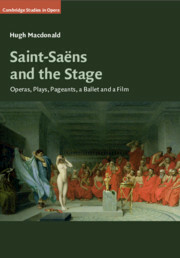 Situated at the intersection of opera studies and the history of science, the book therefore offers a novel and illuminating set of case studies, of a kind that will appeal to historians of both science and opera, and of European culture more generally from the French Revolution to the end of the Victorian period. 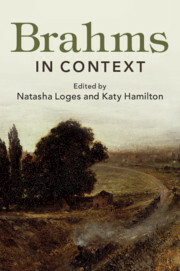 Brahms in Context offers a fresh perspective on the much-admired nineteenth-century German composer. Including thirty-nine chapters on historical, social and cultural contexts, the book brings together internationally renowned experts in music, law, science, art history and other areas, including many figures whose work is appearing in English for the first time. The essays are accessibly written, with short reading lists aimed at music students and educators. The book opens with personal topics including Brahms's Hamburg childhood, his move to Vienna, and his rich social life. It considers professional matters from finance to publishing and copyright; the musicians who shaped and transmitted his works; and the larger musical styles which influenced him. Casting the net wider, other essays embrace politics, religion, literature, philosophy, art, and science. The book closes with chapters on reception, including recordings, historical performance, his compositional legacy, and a reflection on the power of composer myths. 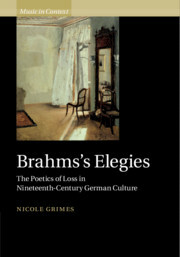 Nicole Grimes provides a compellingly fresh perspective on a series of Brahms's elegiac works by bringing together the disciplines of historical musicology, German studies, and cultural history. Her exploration of the expressive potential of Schicksalslied, Nänie, Gesang der Parzen, and the Vier ernste Gesänge reveals the philosophical weight of this music. She considers the German tradition of the poetics of loss that extends from the late-eighteenth-century texts by Hölderlin, Schiller and Goethe set by Brahms, and includes other philosophical and poetic works present in his library, to the mid-twentieth-century aesthetics of Adorno, who was preoccupied as much by Brahms as by their shared literary heritage. Her multifaceted focus on endings - the end of tonality, the end of the nineteenth century, and themes of loss in the music - illuminates our understanding of Brahms and lateness, and the place of Brahms in the fabric of modernist culture. 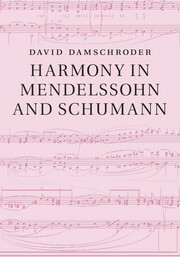 This innovative book continues David Damschroder's radical reformulation of harmonic theory, presenting a dynamic exploration of harmony in the compositions of Mendelssohn and Schumann, two key figures of nineteenth-century classical music. This volume's introductory chapters creatively introduce the basic tenets of the system, with reference to sound files rather than notated music examples permitting a more direct interaction between reader and music. In the Masterworks section that follows, Damschroder presents detailed analyses of movements from piano, vocal, and chamber music, and compares his outcomes with those of other analysts, including Benedict Taylor, L. Poundie Burstein, and Peter H. Smith. Expanding upon analytical practices from the eighteenth and nineteenth centuries, and strongly influenced by Schenkerian principles, this fresh perspective offers a stark contrast to conventional harmonic analysis - both in terms of how Roman numerals are deployed and how musical processes are described in words. Franz Liszt was preoccupied with a fundamental but difficult question: what is the content of music? His answer lay in his symphonic poems, a group of orchestral pieces intended to depict a variety of subjects drawn from literature, visual art and drama. Today, the symphonic poems are usually seen as alternatives to the symphony post-Beethoven. Analysts stress their symphonic logic, thereby neglecting their 'extramusical' subject matter. This book takes a different approach: it returns these influential pieces to their original performance context in the theatre, arguing that the symphonic poem is as much a dramatic as a symphonic genre. This is evidenced in new analyses of the music that examines the theatricality of these pieces and their depiction of voices, mise-en-scène, gesture and action. Simultaneously, the book repositions Liszt's legacy within theatre history, arguing that his contributions should be placed alongside those of Mendelssohn, Berlioz and Wagner. 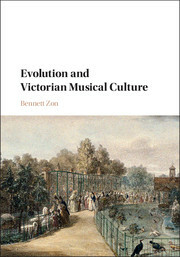 This engaging book explores the dynamic relationship between evolutionary science and musical culture in Victorian Britain, drawing upon a wealth of popular scientific and musical literature to contextualize evolutionary theories of the Darwinian and non-Darwinian revolutions. Bennett Zon uses musical culture to question the hegemonic role ascribed to Darwin by later thinkers, and interrogates the conceptual premise of modern debates in evolutionary musicology. Structured around the Great Chain of Being, chapters are organized by discipline in successively ascending order according to their object of study, from zoology and the study of animal music to theology and the music of God. 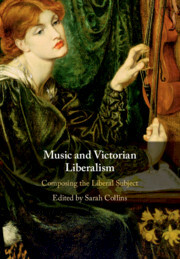 Evolution and Victorian Musical Culture takes a non-Darwinian approach to the interpretation of Victorian scientific and musical interrelationships, debunking the idea that the arts had little influence on contemporary scientific ideas and, by probing the origins of musical interdisciplinarity, the volume shows how music helped ideas about evolution to evolve. Offenbach's operas were a significant force for cultural change, both in his own time and in the decades to follow. In this book, Laurence Senelick demonstrates the ways in which this musical phenomenon took hold globally, with Offenbach's work offering an alternative, irreverent, sexualized view of life which audiences found liberating, both personally and socially. In the theatre, the composer also inspired cutting-edge innovations in stagecraft and design, and in this book, he is recognized as a major cultural influence, with an extensive impact on the spheres of literature, art, film, and even politics. 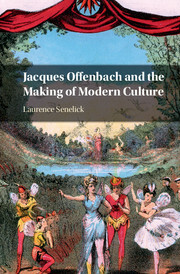 Senelick argues that Offenbach's importance spread far beyond France, and that his provocative and entertaining works, often seen as being more style than substance, influenced numerous key artists, writers, and thinkers, and made a major contribution to the development of modern society. The centrality of fantasy to French literary culture has long been accepted by critics, but the sonorous dimensions of the mode and its wider implications for musical production have gone largely unexplored. 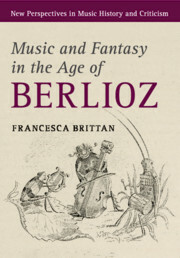 In this book, Francesca Brittan invites us to listen to fantasy, attending both to literary descriptions of sound in otherworldly narratives, and to the wave of 'fantastique' musical works published in France through the middle decades of the nineteenth century, including Berlioz's 1830 Symphonie fantastique, and pieces by Liszt, Adam, Meyerbeer, and others. Following the musico-literary aesthetics of E. T. A. Hoffmann, they allowed waking and dreaming, reality and unreality to converge, yoking fairy sound to insect song, demonic noise to colonial 'babbling', and divine music to the strains of water and wind. Fantastic soundworlds disrupted France's native tradition of marvellous illusion, replacing it with a magical materialism inextricable from republican activism, theological heterodoxy, and the advent of 'radical' romanticism. This is a study of the vital role that Norway played in the life and work of Frederick Delius. 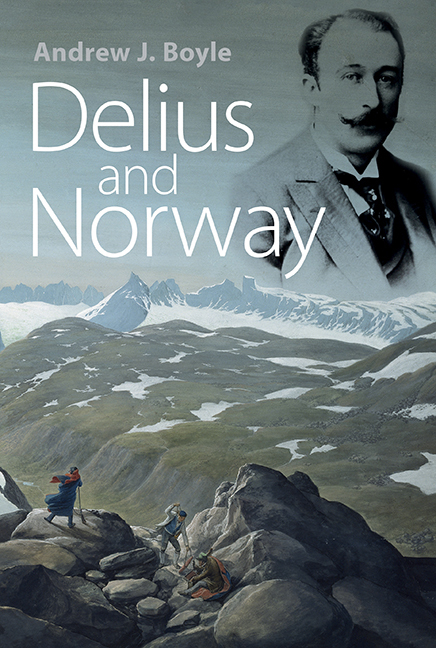 Norway was a primary source of inspiration for Delius: 20 summers of his adult life were spent there, and almost 40 works express his experiences of Norwegian nature or were composed to Norwegian texts. Yet, although his attachment to Norway was at the core of his creative life, this book is the first in-depth study of the influence the country and its artists had on the composer. It includes significant new material regarding Delius's friendships with Edvard Munch, Edvard Grieg and Knut Hamsun. Previously unknown visits to Norway are detailed, as are close ties to a whole raft of Norwegian artists and political figures that have never previously been documented. For the first time, Delius's alter ego is uncovered, several mythologies regarding the composer are clarified, and the Norwegian background to some of his most well-known works is considered. The Delius that emerges from these pages is little known, even to most enthusiasts of his music: a driven and energetic personality and an artist searching for a language with which to express the existential crisis facing modern man in the early twentieth century.ANDREW J. BOYLE is an author and musician. He gained his PhD on the music of Frederick Delius from the University of Sheffield. This collection of essays explores topics of relevance to understanding Edward MacDowell (1860-1908) and his music. At the height of his career, MacDowell was widely recognized as America's leading composer. He had come of age during an era when the infrastructure of concert music in the United States was expanding rapidly, as outlined in Javier Albo's description of historical concerts in New York during his childhood. 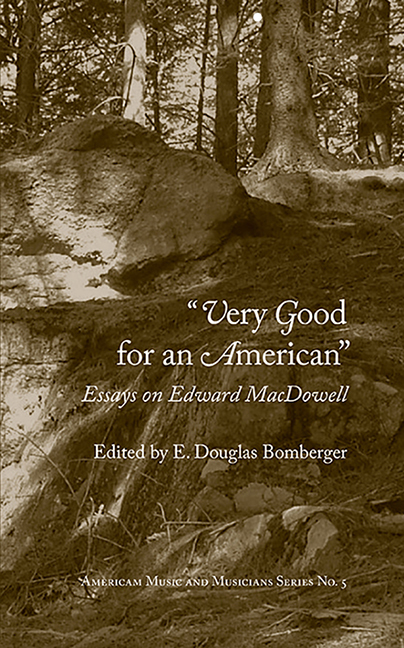 MacDowell came from an unusual background that resulted from the interaction between his father's Quaker roots, described in Douglas Bomberger's essay, and his mother's ambitious goals. He benefited from the early advocacy of his mother's best friend, the Venezuelan pianist Teresa Carreño, whose support of MacDowell is explored in Laura Pita's essay. He studied for two years in Paris and then spent a decade in Germany, studying with Liszt's pupil Raff and establishing his career. The crucial influences of Wagner and Liszt on MacDowell's style are explored in essays by Francis Brancaleone and John Graziano. He lived in Boston from 1888 to 1896, during which time he was in close contact with George Whitefield Chadwick, an American contemporary whose career as an organist is examined in an essay by Marianne Betz. MacDowell's growing body of works for piano and orchestra earned him the reputation of America's most important young composer, which led to his appointment as first professor of music at Columbia University in 1896. His contributions as a teacher were ended after eight years by a public dispute with President Nicholas Murray Butler, explored in Michael Joiner's essay. Columbia continued to feel the tension of the issues raised by MacDowell and Butler for generations, as demonstrated in Mark Radice's discussion of Chou Wen-chung's experience on the faculty from the 1960s through the 1990s. After MacDowell's death at the age of forty-seven, his widow Marian developed their Peterborough, NH, farm into an artists' colony that is still prominent today. Robin Rausch's essay, richly illustrated with photos from the Library of Congress, shows how she gained support for her efforts through summer pageants. 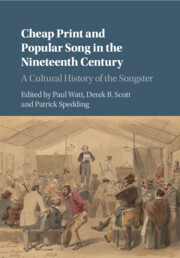 This book is a cultural history of the nineteenth-century songster: pocket-sized anthologies of song texts, usually without musical notation. 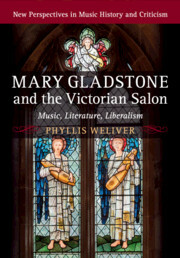 It examines the musical, social, commercial and aesthetic functions songsters served and the processes by which they were produced and disseminated, the repertory they included, and the singers, printers and entrepreneurs that both inspired their manufacture and facilitated their consumption. Taking an international perspective, chapters focus on songsters from Ireland, North America, Australia and Britain and the varied public and private contexts in which they were used and exploited in oral and print cultures. Four of Schumann's great masterpieces of the 1830s - Carnaval, Fantasiestücke, Kreisleriana and Nachtstücke - are connected to the fiction of E. T. A. Hoffmann. 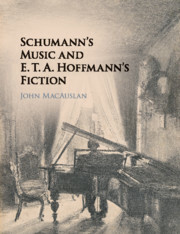 In this book, John MacAuslan traces Schumann's stylistic shifts during this period to offer insights into the expressive musical patterns that give shape, energy and individuality to each work. MacAuslan also relates the works to Schumann's reception of Bach, Beethoven, Novalis and Jean Paul, and focuses on primary sources in his wide-ranging discussion of the broader intellectual and aesthetic contexts. 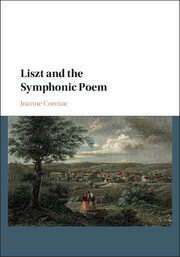 Uncovering lines of influence from Schumann's reading to his writings, and reflecting on how the aesthetic concepts involved might be used today, this book transforms the way Schumann's music and its literary connections can be understood and will be essential reading for musicologists, performers and listeners with an interest in Schumann, early nineteenth-century music and German Romantic culture. Schubert's late music has proved pivotal for the development of diverse fields of musical scholarship, from biography and music history to the theory of harmony. 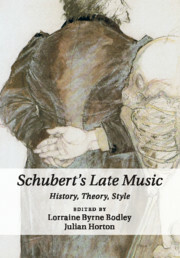 This collection addresses current issues in Schubert studies including compositional technique, the topical issue of 'late' style, tonal strategy and form in the composer's instrumental music, and musical readings of the 'postmodern' Schubert. Offering fresh approaches to Schubert's instrumental and vocal works and their reception, this book argues that the music that the composer produced from 1822–8 is central to a paradigm shift in the history of music during the nineteenth century. The contributors provide a timely reassessment of Schubert's legacy, assembling a portrait of the composer that is very different from the sentimental Schubert permeating nineteenth-century culture and the postmodern Schubert of more recent literature. 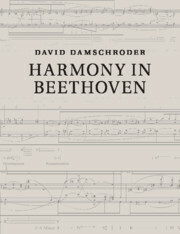 David Damschroder's ongoing reformulation of harmonic theory continues with a dynamic exploration of how Beethoven molded and arranged chords to convey bold conceptions. This book's introductory chapters are organized in the manner of a nineteenth-century Harmonielehre, with individual considerations of the tonal system's key features illustrated by easy-to-comprehend block-chord examples derived from Beethoven's piano sonatas. In the masterworks section that follows, Damschroder presents detailed analyses of movements from the symphonies, piano and violin sonatas, and string quartets, and compares his outcomes with those of other analysts, including William E. Caplin, Robert Gauldin, Nicholas Marston, William J. Mitchell, Frank Samarotto, and Janet Schmalfeldt. 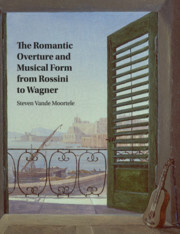 Expanding upon analytical practices from the eighteenth and nineteenth centuries, and strongly influenced by Schenkerian principles, this fresh perspective offers a stark contrast to conventional harmonic analysis – both in terms of how Roman numerals are deployed and how musical processes are described in words. In the early nineteenth century over forty operas by foreign composers, including Mozart, Rossini, Weber and Bellini, were adapted for London playhouses, often appearing in drastically altered form. Such changes have been denigrated as 'mutilations'. The operas were translated into English, fitted with spoken dialogue, divested of much of their music, augmented with interpolations and frequently set to altered libretti. By the end of the period, the radical changes of earlier adaptations gave way to more faithful versions. 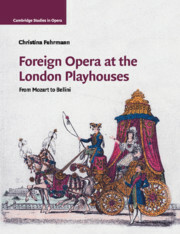 In the first comprehensive study of these adaptations, Christina Fuhrmann shows how integral they are to our understanding of early nineteenth-century opera and the transformation of London's theatrical and musical life. This book reveals how these operas accelerated repertoire shifts in the London theatrical world, fostered significant changes in musical taste, revealed the ambiguities and inadequacies of copyright law and sparked intense debate about fidelity to the original work.